As illustrated by a Leftist book titled "War and Empire: The American Way of Life" and discussed here (you should read that before reading this article), the Left--very wrongly!--views ordinary Americans as guilty of the crimes of the American ruling class (such as unjust wars, and other means of oppressing people abroad) and complicit in these crimes--knowingly benefiting from them and approving of them. The logical implication of this wrongheaded view is to support attacks on ordinary Americans in the name of the oppressed. When these attacks are violent (as, logically, why shouldn't they be in this framework?) it is terrorism--in the true meaning of the word: violence directed against ordinary people to affect the policy of their government. The Weathermen faction of SDS in 1969 adopted this framework and advocated directing violence against ordinary random Americans. Here's an example of how the Weathermen faction of SDS ended up advocating literally terrorism. 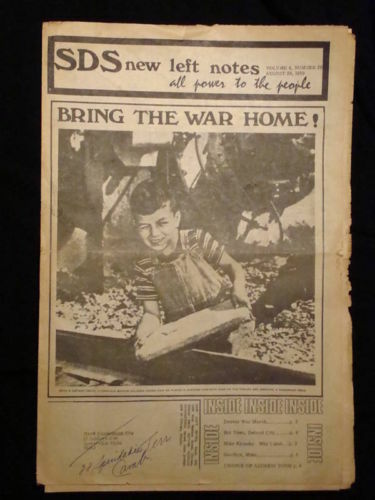 Read about it at https://en.wikipedia.org/wiki/Marion_Delgado and look at the cover (below) of their national SDS newspaper glorifying Marion Delgado, a young child who sabotaged and wrecked a passenger train. This is what the Leftist political framework logically implies, even if not all Leftists realize it. 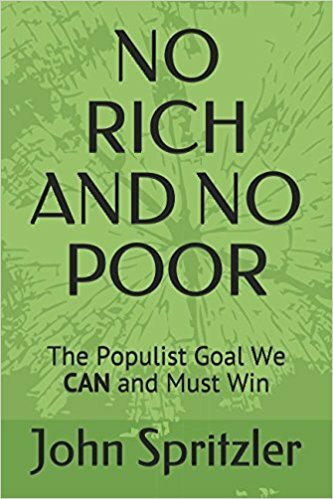 Egalitarianism, in contrast to the Left, views the values by which ordinary Americans try, in their every day lives, to shape the little corner of the world over which they have any real control--the values of equality and mutual aid--as the values that ought to shape ALL of society, and we view this as the goal of egalitarian revolution. We see ordinary Americans as THE positive force in our society, the force that, when it is more aware of the revolutionary significance of the values it implicitly acts on everyday, and when it is more confident in itself (from knowing that it is the vast majority who have these positive values) and when it has organized itself, can remove the rich from power and begin making ours a truly equal and democratic--an egalitarian--society. This is discussed more fully at www.PDRBoston.org .